Could online training provide the most cost-effective and time-saving solution to staff training? According to the recent ‘School Snapshot Survey’ report released by the DfE, “School leadership teams have been encouraged to prioritise the provision of Continuing Professional Development (CPD) opportunities for teaching staff”. Despite this claim, 91% of teachers surveyed for the report stated that there were still barriers to accessing effective CPD. 70% of teachers cited cost as the most common obstacle, while over half (51%) felt that insufficient time was a contributing factor. 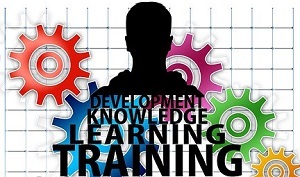 Of course, CPD is just one part of the training story: there is also all the mandatory training, from induction and health & safety to GDPR and Prevent, which must also be kept up to date. The cost of training doesn’t just begin and end with the course itself. The school also has to add the cost of supply cover if the training takes place during school hours. In addition, when trained staff leave a school, any knowledge learnt goes with them, leaving the school with the expense of paying to re-train another member of the team. Add to that the challenge of finding time in an already packed school timetable and the requirement to evidence statutory compliance and the training task can soon become inefficient and time-consuming. 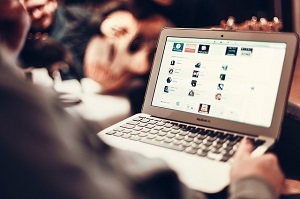 So, could online training provide the most cost-effective and time-saving solution? Yorkshire based ed-tech company, TrainingToolz believes so, and so do their customers. Their bespoke platform for schools, TrainingSchoolz is a simple-to-use yet powerful platform developed specifically for the education sector. It has all the features schools need to create effective training courses, as well as policies and other information for sharing, along with the functionality to distribute, track and audit responses efficiently. Kim Edwards, Senior Premises and Compliance Officer at Aspire Academies Trust and West Hertfordshire Teaching School Partnership, commented, “TrainingSchoolz makes training the school community easy to manage. Online dashboards allow me to see quickly the percentage of users who have completed the training”. Darren Rose, a consultant and trainer working with schools and councils across the UK added “Safeguarding and e-safety are at the heart of schools’ compliance. I, too, for my small part, use this very powerful platform to provide data protection training and compliance reporting for schools (SLT, staff & governors). I would strongly recommend it as a platform for other content creators as well as for schools to create their own content”. The TrainingSchoolz platform allows schools to compile their own training and policy library easily, adding video, audio and downloadable documents to their courses. In addition, TrainingSchoolz also provides a bank of ready-made policies and training courses. The assignments have been professionally written by experts in their field and are designed to save schools time and money over authoring their own training in common areas. Each assignment in this Training Library is fully editable, so schools can tailor it to their needs or use it as it comes. 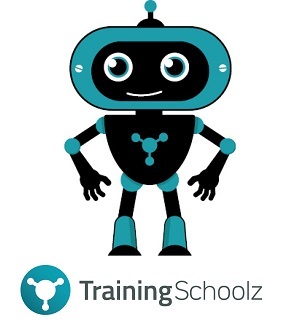 For schools who would like to find out more about the platform, TrainingSchoolz offers a free sign up, where schools can create their own training courses or policies, or pick one from the fully editable library. And with the 10 training sessions included in the free package, schools can fully test out the system by inviting staff to complete an assignment and see the results. 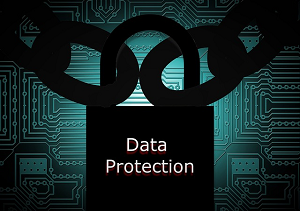 Continued Professional Development (CPD) for school staff is critical in providing children with the right information and education to stay safe online. Whether you’re an architect, an IT programmer or a worker in a fast food chain, CPD plays a crucial part in developing human ability, improving working practice and enabling advancement. Take it away and we find our knowledge becomes antiquated, our skills dated and our clients’ trust and confidence eroded. For some professions, a lack of continued training doesn’t just carry commercial consequences. It can also have a serious impact on people’s health and wellbeing. CPD has never been more important than for those who have a responsibility for the care and protection of others, particularly children. Whilst all state schools have five days set aside by the Government (known as inset days) when schools are closed to children but open for teacher training, many believe this isn’t enough. In February this year, following a report by the Education Select Committee, Schools Week reported that MPs had called for a national CPD annual entitlement. The committee, who has been compiling written and oral evidence on teacher recruitment and retention since 2015, urged the Government to “recognise its own role in promoting the professional development of teachers”, including a “central statement of annual CPD entitlement” for each teacher, which would help improve teacher retention rates. The report stated teachers in England have no entitlement to CPD – even though teachers in Scotland are entitled to 35 hours a year, with teachers in Singapore given 100 hours a year. They also recommended the Government release “targeted funding” for CPD, and said Ofsted should check schools are encouraging CPD during its inspections. With teachers’ time being squeezed to the optimum with marking, lesson planning and managing those everyday unplanned incidents, it can leave little time for training. On-site training can be difficult to organise and requires a large group of staff in order to realise the best value from the costs imposed. This means using inset days, organising time outside the school day or taking staff out of lessons that then need to covered by somebody else. But with budgets squeezed and teachers’ time at a premium, how do we ensure teachers and supporting school staff receive the e-safety training that they need? The answer comes in taking this training online. Online courses can provide a better alternative to holding group training sessions, giving teachers and staff more flexibility when it comes to the time they choose for their training. Rather than having to block out a certain date and time, teachers can complete the training at a time convenient to them. Online training sessions also have the advantage of being much cheaper than bringing in a dedicated training company. So, with CPD very much on the education agenda, is it time you reviewed the e-safety training in your school? With an increased emphasis on providing children with the knowledge they need to use the Internet responsibly, it’s more important than ever that we recognise that all school staff play an important role in imparting e-safety knowledge and advice, not just the teachers. E-safety Support provides CPD certified teacher training. Whilst some other online training providers charge on a per user or per course basis, E-safety Support is different. Our membership structure means that the whole school pays just one annual fee to access all the e-safety courses available. There’s no restriction on how many of your school community can receive the training so teachers, senior leaders, governors and support staff can all receive the same level of training as and when they need it. To preview our courses today with no obligation, sign up here for a free membership to E-safety Support. Premium Plus members can distribute the training by logging into your E-safety Support dashboard.